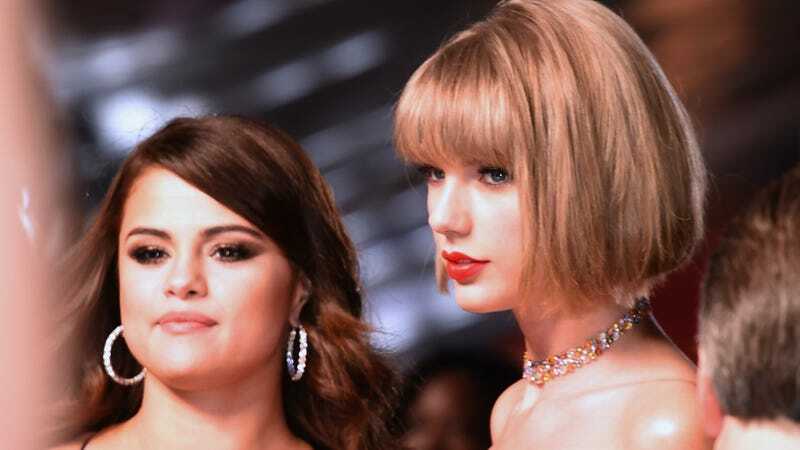 Quiz: Why Did Taylor Swift Make Selena Gomez a Birthday Cake She'll Never Eat? A) You were going to make one anyway and figured you could score friend points if you stuck her name on it. B) You’re a good friend and you wanted your bestie to know you were thinking of her, even if making a cake someone can’t even eat is kinda fucked up. C) The whole thing is a cheap attempt to bolster your wholesome “good friend” scam. D) Please. Your assistant came up with the idea, your assistant’s assistant made the cake, and your social media manager posted it. You were taking a nap. Which of these was Taylor Swift’s motivation for baking a 26th birthday cake for her pal Selena Gomez? Don’t look at me; I’m just here asking questions.